We follow him to 1969, where young Toru is a university student, sitting out the student protests and walking the streets of Tokyo every Sunday with Naoko, an old friend from his high school days. After their relationship intensifies, she suffers a breakdown, running away to a sanatorium outside Kyoto. Meanwhile, Toru’s friendship with the outgoing Midori threatens to become something more, leaving the confused student wondering which path he should take. It’s a crossroads in his life, one where a false step will have serious consequences for the future. Let me be clear – it’s very hard for me to be totally objective about Norwegian Wood, one of my very first J-Lit encounters. I initially read it a couple of years after coming back from Japan, and this coloured my interpretation of the book, with my first few reads focused on the nostalgia. Toru’s adventures forced me to think back, both to my time in Japan (the names, the places, the food, the trains…) and to my own student days, which were fast receding into memory. Anyone who has read a few of Murakami’s works will have come across a well or two, and while this is a real one, it’s also Murakami’s favourite metaphor for the psyche. Just as the people in Naoko’s village warn of the danger of falling into the abandoned well, so too do the characters in Norwegian Wood risk tumbling into the hole of depression. Toru’s childhood friend Kizuki has already succumbed, and Naoko is tottering on the edge of the abyss. Again, looking back on my student days, this is painfully close to home. 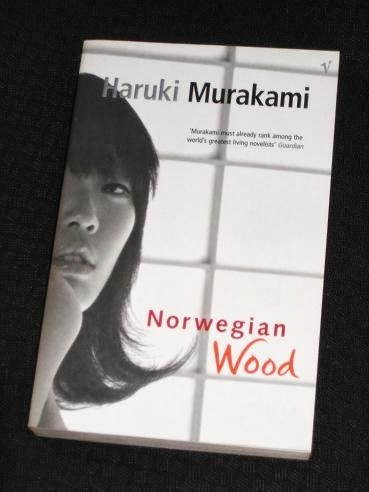 Norwegian Wood was Murakami’s big breakout book in Japan, a novel which disappointed many of his fans because of its apparent conformity, while also selling millions to people who had never wanted to try his work before. It’s a slightly autobiographical work, Murakami’s attempt at the popular Japanese obsession of the I-Novel; Rubin (again) comments on obvious similarities with Murakami’s time at Waseda University and his first encounters with his eventual wife, Yoko. It’s still recognisably a Murakami work though. In addition to the obvious surface features (cats, wells, ears, jazz – you know the drill…), there are plenty of other links to Murakami’s fictional world. The parallel lives of Naoko’s ‘hostel’ outside Kyoto and the events in Tokyo are reminiscent of the two worlds making up Hard-Boiled Wonderland and the End of the World, while the themes of suicide and depression are very familiar to anyone who has read books (e.g. A Wild Sheep Chase) in The Trilogy (or Tetralogy) of the Rat. Toru’s disappointment with the (hypocritical) student protesters is a further criticism of capitalism, with Toru as just another of Murakami’s silent protesters against the soulless progress of modern society. While I focused more on the serious issues in this review, in the end, it’s a book which can’t help but win you over with its abundant charm and its echoes of youth. Interesting contrast between the old Tony and the current Tony, as it were, reading this book. I haven't dared reread it very recently (certainly not in the past 8 years or so), so perhaps I will feel differently about it than I did during my student days. I like the way you still find it charming and full of youthful vigour, but also notice more the darker moments and recurring themes. What struck me in this book, as I recall from reading it a year ago, is the terrible pain he suffers from the death of the girl. And I was surprsied to find the same sorrow, the same death of a young girl, the same lamentation with nothing-that-can-be-done in both Hear The Wind Sing and Pinball, 1973. To me, Murkami must have suffered a similar loss to write of it in three different novels. Bellezza – Yes, just how autobiographical the book is is something that many have wondered. He does deny much of this identification though. This was my first Murakami, and I love it. It made me want to read more of him. I think it's a good introduction because, as you say, it's more conventional and yet it has his tone and preoccupations with the individual and his/her relationship to self, to others, to society. It's the tone, really, that gets me most. Anyhow, you've made me think it's well worth another read, though when I have no idea. Very nice post, I enjoyed reading your thoughts and impressions about this novel even if I didn't lik it when I read it. I agree, how this book, with its “echoes of youth,” can't help clutching onto the reader's sentimentality. I read it recently as an adult and even then couldn't break away from how personal it was to me. What impressed on me, most of all, was the music, which made the nostalgia even more pronounced. My first mural was Kafka on the Shore, too, and there's nothing that can quite compare to the first time through. Sue – It's finding the time (a problem I know only too well…). 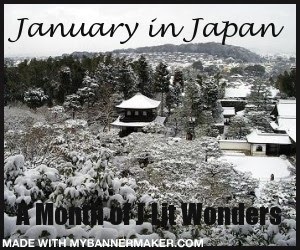 Emma – Perhaps it's my time in Japan, but it was a novel that really evoked strong feelings of nostalgia the first time I read it. Claire – Yes, the music plays an important role here. Then again, that's another feature of Murakami's work (I have a CD in my car with the Rossini overture! ).